When returning to places you've been, there is often a desire to find what you remember, if only to see if it's still there. I took several memorable photographs at Valugan beach in Batanes in 2006. 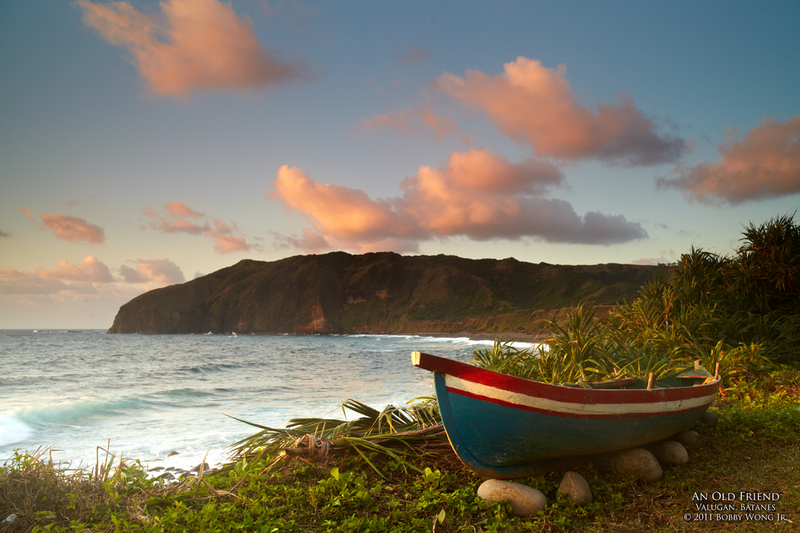 They were of old boats strewn along a barren shore, lit golden by the warmth of first light. It was a set I would not forget. So when I returned recently in search of new perspectives, I was drawn back to those earlier scenes of boats along the shore. True enough, I did find an old boat looking out to sea. Was it the same boat? Did it look like it's just been repainted? Who knows? But to me it was the same scene all over again, of solitary boats waiting anxiously for the birth of a new sun, which incidentally is the very same thing I've come for. I had come to find something new, but in the end, the new was the same as the old. The mind sees what it wants to see. Enjoy.